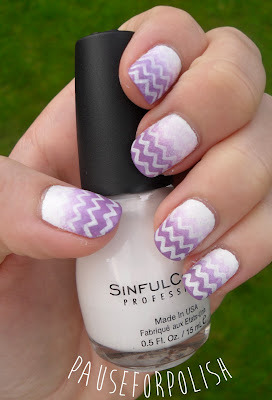 To create this look i used a base coat of Sinful Colors - Snow Me White and for the purple gradient i used an un-named lilac from Claire's Accessories and Miss Sporty - Clubbing Colours purple (couldn't find a name either!). 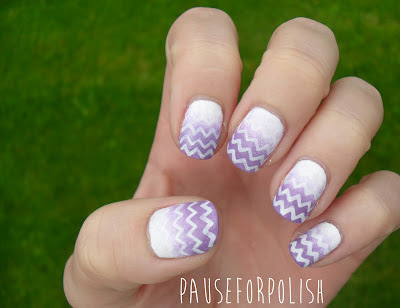 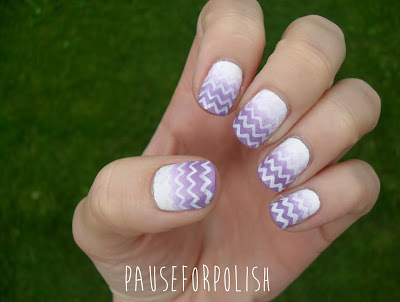 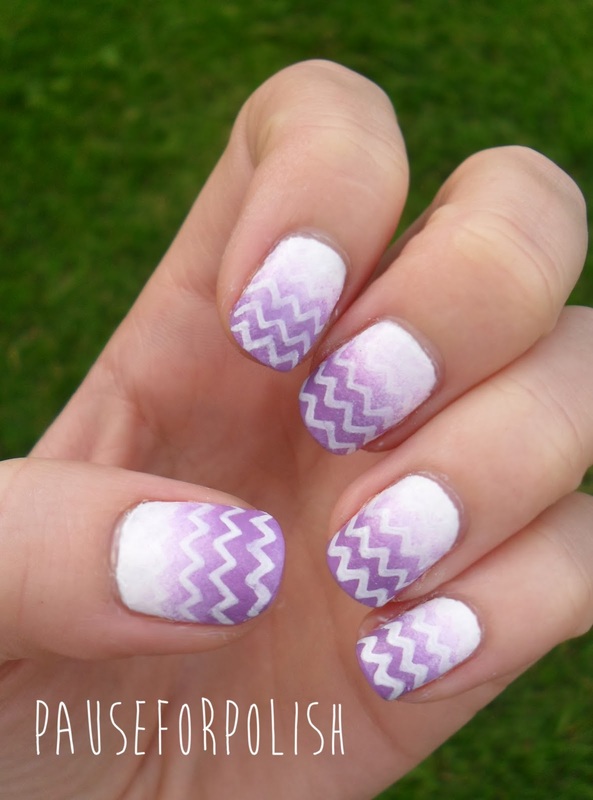 For the chevrons i used my trusty Barry M White Nail Art Pen because it's super easy and quick! 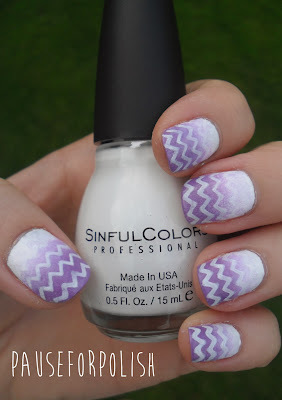 On to the pics..